Perfect for shading and highlighting cheeks. Designed to pick up and release the right amount of colour. The ultimate collection for whatever the occasion! Comes complete with a sleek travel case. 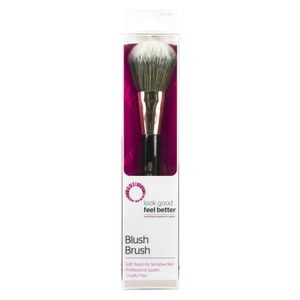 This deluxe Powder Brush is full and dense and your perfect tool for evenly dusting loose and pressed powder. 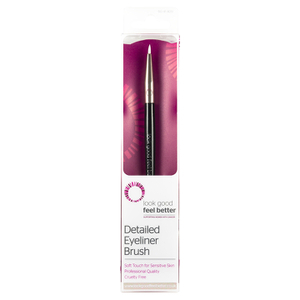 Look Good Feel Better was formed in the UK 20 years ago specifically to help women combat the visible side effects of their cancer treatment. As we celebrate our 20th Anniversary this video has been made to highlight the importance of our free skincare and make-up workshops and what it means to the women that attend them. 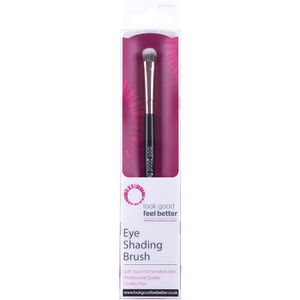 Help raise money and awareness for cancer charity, Look Good Feel Better with these fantastic new cruelty-free professional makeup brushes. 8%-12% of the wholesale price goes to Look Good Feel Good with a guaranteed donation of £30,000 a year. 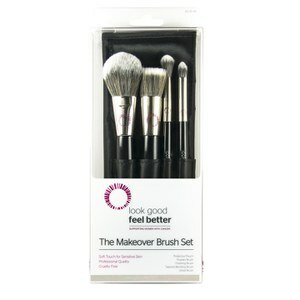 Find out all about the brushes here on the Lookfantastic blog!